Review by AllTheBestFights.com: 2017-02-19, fight not so exciting between Cezar Ferreira and Elias Theodorou: it gets two stars. The black belt in Brazilian jiu-jitsu and Tuf Brazil tournament winner Cezar Ferreira entered this fight with a professional mma record of 11-5-0 (55% finishing rate) and he is ranked as the No.24 middleweight in the world. ‘Mutante’ lost two consecutive bouts in 2015, against Sam Alvey (=Alvey vs Ferreira) and Jorge Masvidal (=Masvidal vs Ferreira), but then he has won three times beating Jack Hermansson in his last one. His opponent, the tuf Nations Mw tournament winner Elias Theodorou, has an official record of 12-1-0 (58% finishing rate) and he entered as the No.27 in the same weight class. He lost to Thiago Santos in 2015 (=Theodorou vs Santos) but he came back to win in 2016 defeating Sam Alvey. 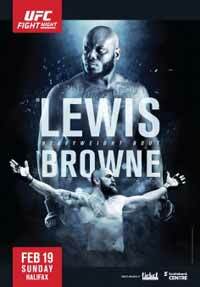 Elias Theodorou vs Cezar Ferreira is on the undercard of Derrick Lewis vs Travis Browne – UFC Fight Night 105. Watch the video and rate this fight!